The Diplomacy & Commerce Magazine, a syndication of London’s The Economist magazine, celebrated its third birthday on 20 March at the National Museum in Belgrade. In addition to the fact that with this event the magazine marked the third anniversary of the launch, at the event the Diplomacy & Commerce Awards were presented for individuals, companies and organizations that highlighted humanitarian work, CSR activities, mergers of business and culture, and contributed to the improvement of business conditions, bilateral cooperation, civil society and the economic environment in Serbia. – On the way to Europe, three years ago we launched the magazine “Diplomacy & Commerce” in Serbia, a year and a half later, the first issue of the Croatian edition of the magazine was published, and last month in the residence of the United Kingdom Embassy in Vienna we launched “Diplomacy & Commerce Austria “. In September, the first issue of “Diplomacy & Commerce Slovenia” will be released in Ljubljana, and at the end of this year we will hold the conference “World in 2020” in the premises of the Croatian National Bank for the first time, and promotion of the same magazine. Perhaps Europe is not such a popular topic today, but I am using this opportunity to remind you that at this place, in the National Museum where this is best seen, we inherit European traditions and that it is the society in which we want to be in the future – president of the Color Press Group, Robert Čoban, said, thanking all the guests. A special award for contribution to the development of civil society was handed out to Sem Fabrizi, Ambassador and Head of Delegation of the European Union to the Republic of Serbia. 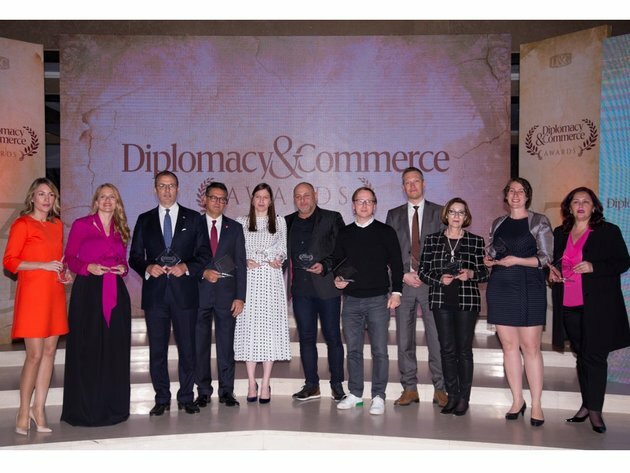 The award for the improvement of business conditions went to the Western Balkans Six Chamber Investment Forum, and the award for the promotion of bilateral cooperation and economic environment went to the Austrian Economic Chamber WKO. The Award for the Best Socially Responsible Company went to Coca Cola and Nelt Serbia, and the Award for the Best Socially Responsible Campaign went to Delta Holding for the project “Our Village”. 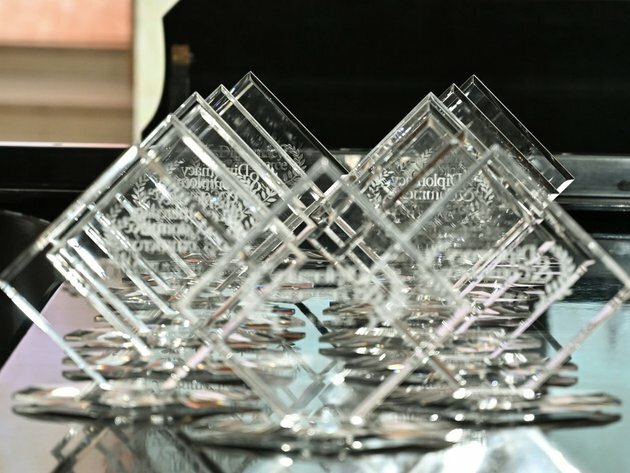 The award for contribution to the development of artistic creativity and preservation of cultural heritage went to Heineken and the National Museum, whereas the Award for the Biggest Charity Contribution and the award the foundation of the year went to Novak Djoković and Novak Djoković Foundation. The Award for Business Innovation went to Bitgear for building a network for Telekom Serbia. The special award for the contribution to the development of the investment climate went to the European Investment Bank, whereas the Special prize for contribution to the preservation of cultural heritage went to Vojvođanska banka. The award for the development of higher education went to the College of Applied Health Sciences in Ćuprija. All guests were able to savor guided tour of the exhibition SERBIAN ART 18TH- 19TH CENTURY, which contains more than 1,500 works of Serbian authors, representing the development of 18th and 19th century Serbian art.